Viva Gold Corp. (TSX-V: VAU) (OTCBB: VAUCF) is pleased to announce assay results for an additional three drill-holes in its 2018-2019 winter reverse circulation drill program at its Tonopah Gold Project located near Tonopah, Nevada. 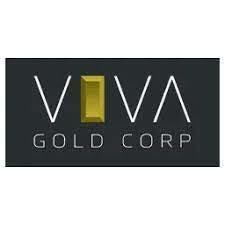 Viva Gold is a gold exploration and development company with a focus on Nevada. Viva holds 100% of the Tonopah Gold Project, a large land position with demonstrated high-grade measured, indicated and inferred gold resources, located on the prolific Walker Lane Trend in Nevada, 30 kilometers south-east of the Round Mountain mine of Kinross Gold and 20 kilometers from the Town of Tonopah. Viva’s management team has extensive experience in mining exploration, development and production and are supported by a Board of Directors and advisors who are proven mine finders, deal makers and financiers.